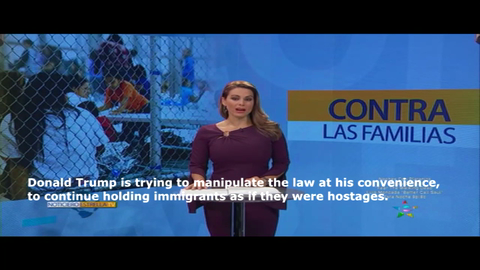 ADRIANA YAÑEZ, ANCHOR, ESTRELLA TV: Donald Trump is trying to manipulate the law at his convenience, to continue holding immigrants as if they were hostages. Rosa María Orbach informs us. ROSA MARIA ORBACH, REPORTER, ESTRELLA TV: In any way possible, the Trump administration wants to continue detaining immigrant children as if they were criminals and they want them in detention centers for an indefinite period. Today this was confirmed through a proposal to Congress to eliminate the Flores agreement.